The next public stargazing talk is titled "Clash of the Titans". Clash of the Titans. You read about this Greek mythology. You even watched the movie. Medusa, Perseus, Cassiopeia, Andromeda, a terrifying sea monster and that cool flying white horse? But did you know most of them have their corresponding star constellations in the night sky? And in them, some of the most amazing, mind-boggling cosmic objects? Some of them can be seen with just our eyes alone on a clear night! Come attend this talk to see for yourselves how they look like and how to find them in the sky. With this understanding, you will be able to enjoy observing them even more. On Wednesday 8 Oct, go to any location in Singapore with unobstructed view of the eastern horizon. From 6:52pm - 8:34pm, observe the Moon rising from the East. There is a Total Lunar Eclipse happening on 8 October 2014 Wednesday. 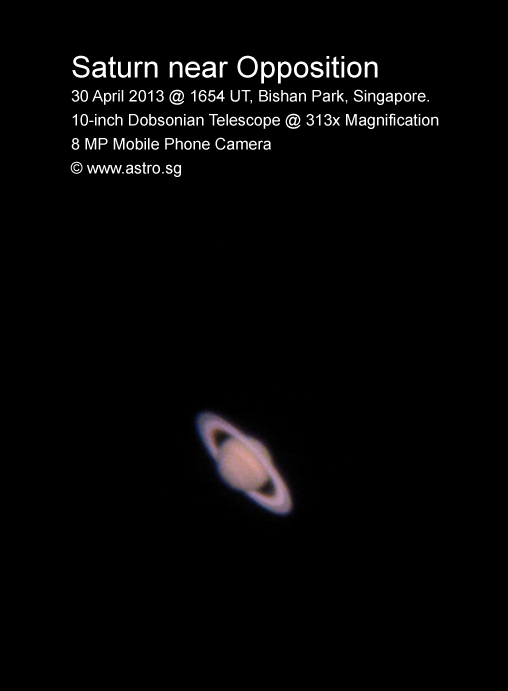 Weather permitting, this is visible from Singapore and many other countries but not from Europe or Africa. Here are the timings of the different phases of the eclipse in Singapore Standard Time (UT +8) rounded down to nearest minute. Umbra = inner, darker shadow of Earth. Penumbra = outer, lighter shadow of Earth. In the following simulation of Moon as seen from Earth during this eclipse, the inner circle represents umbra shadow of Earth and the other circle represents the penumbra shadow of Earth. Thus, the visually more exciting part of a Total Lunar Eclipse is from the beginning till the end of the umbra phase, i.e. from 5:14pm - 8:34pm. Since Moon only rises from 6:52pm from Singapore on that day, we will not be able to see the first half of the umbra phase. Or, give them the shorter version - the first paragraph of this blog. (1) The ability to observe Total Lunar Eclipse, like all astronomical event, is totally dependent on the weather. So manage your expectation as there is always a possibility of not seeing it due to bad weather - rain, cloud, haze, ...etc. Moreover, the atmosphere near horizon is more turbulent compared to higher altitude. Even if you can spot the Moon very early just above the horizon, it may look fuzzy or slightly distorted. Having said that, if there is only very thin layer of clouds and/or haze, Moon may still be visible through them, especially during a Full Moon phase in this case. (2) Due to the haze situation, you may not find it safe to observe it outdoors. In that case, observe it indoors through windows or glass wall instead! Find one with a good unobstructed view of the east where the Moon will be rising. (3) If you can't go to a location with unobstructed view of the eastern horizon (e.g. beach), try observing the eclipse from a tall building (e.g. roof-top garden, multi-storey carpark). (5) If you have camera, videocamera with decent optical zoom, try zooming in on Moon and take some photos and videos. Check out these incredible mega-zoom camcorder videos in this blog. (6) The eclipse will happen near the horizon. At the end of umbra, it is only 23° above horizon. If you are into photography, you can make use of this fact to frame both the Moon and some nearby interesting terrestrial objects in your composition. *Weather permitting*, my friends and I will be at Bishan Park McDonald's this Wednesday to observe the eclipse. From that location, there is a good view of the eastern horizon. We will be bringing our telescopes along for public viewing and to take eclipse photos through these telescopes with mobile phones. Feel free to join us there with your family and friends! Have fun observing this eclipse. Good luck and clear skies to all! The next public stargazing talk is titled "Sun, Moon & Eclipses". Sun, Moon and Earth lining up in a straight line - an extraordinary celestial wonder that has fascinated human civilisation for millennia and many more to come! Come attend this talk to see for yourselves how they look like and understand the basic astronomical concepts involved. With this understanding, you will be able to enjoy observing them even more. Eclipses actually happen quite frequently but appears very rare to the general public because they do not know in advance when and where to look for them. Learn how to read eclipse charts and find out about upcoming solar and lunar eclipses. There is even one visible from Singapore next Wednesday early evening! The next public stargazing talk is titled "The Summer Triangle". 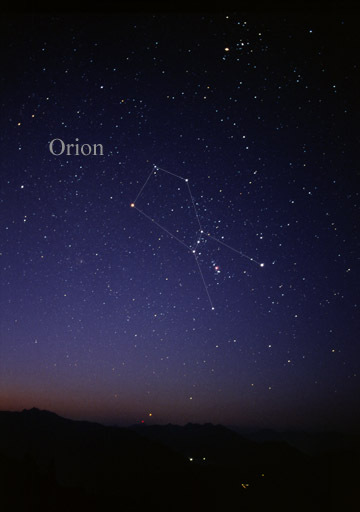 Three bright stars from three constellations form the asterism known as the Summer Triangle. And our Milky Way galaxy cuts right across it! Some of the most spectacular celestial objects will remain "hidden" in these constellations to those who do not know their of their existence, let alone trying to find them in the sky. So come attend this info-taining multimedia talk and discover these treasures in the sky. Participants will also be taught how to read a printed sky map which will be distributed during the talk (while stock lasts). Weather permitting, there will be live stargazing during or after the talk at the open grounds just outside the main entrance of Toa Payoh Public Library. Come see the Moon, Mars, Saturn, star clusters. star clouds up close and personal through our telescopes! As tweeted a couple of weeks ago, the Singapore Science Festival for this year is from 18 July to 3 August 2014. This festival is jointly organised by the Agency for Science, Technology & Research (A*STAR) and the Science Centre Singapore. Various science related activities have been conducted. 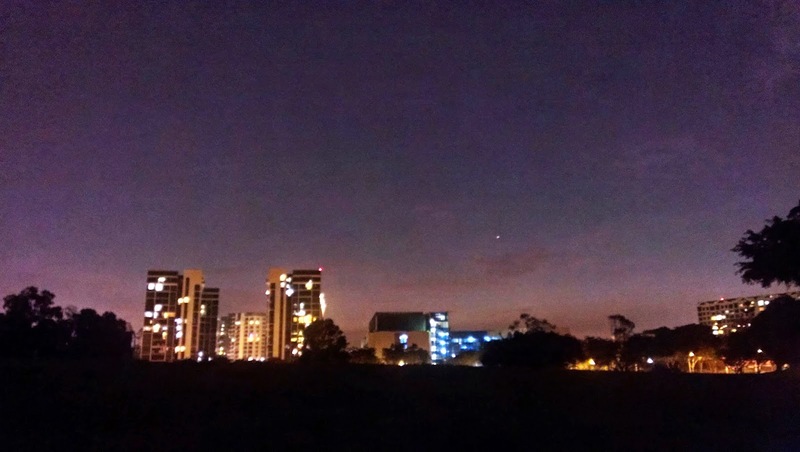 The most interesting activity to us amateur astronomers will be their Sidewalk Astronomy sessions at various locations in Singapore on the same evening on Friday 1 August 2014. These live stargazing sessions are of course *weather dependent* as usual. 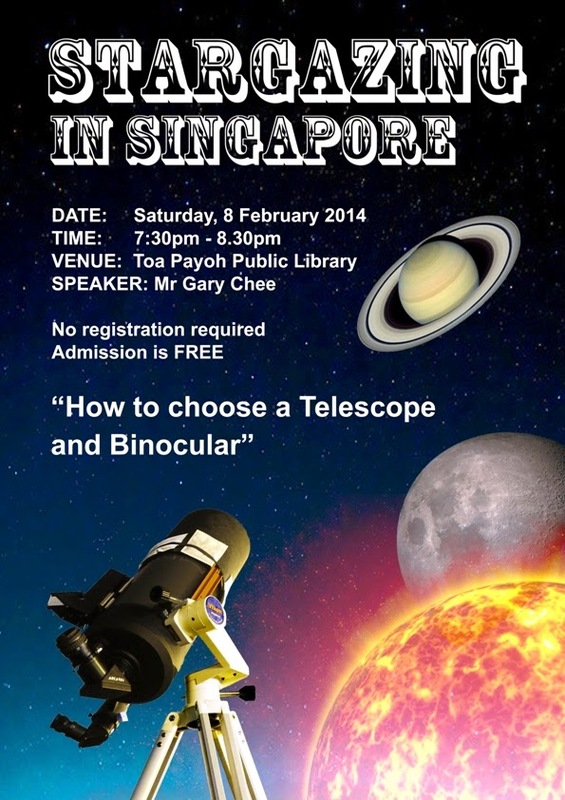 The official contact person of this Sidewalk Astronomy session is Mr Alfred Lim from Science Centre Singapore. His email is alfred_lim@science.edu.sg. Work schedule permitting, I may drop by at Toa Payoh Public Library to participate in the activities on that day. Inside the library, they will be various short talks conducted at 7:45pm, 8:10pm and 8:35pm. Children can also take part in the sundial making activity in the library's activity room. Weather permitting, live stargazing through telescopes at open grounds just outside the main entrance of the library from 7:45pm to 10pm. 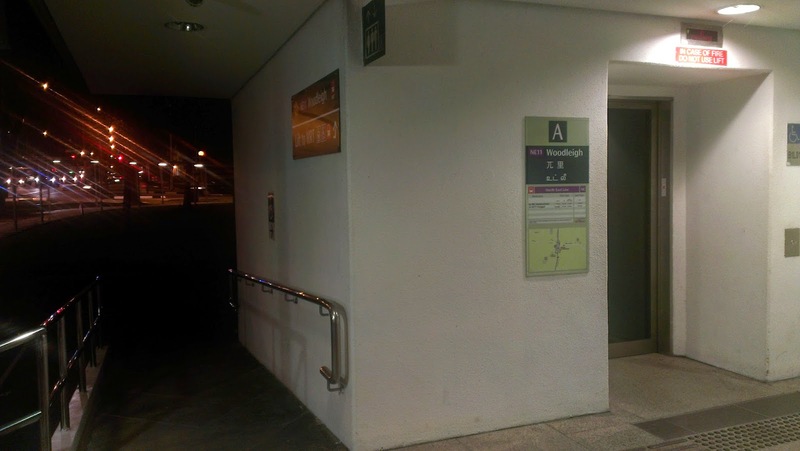 This is the same regular spot where we conduct sidewalk astronomy sessions at Toa Payoh Central. Do follow my tweets for more updated information about Science Festival activities at Toa Payoh Public Library. Wishing all participants having a good time on that day learning more about the oldest science known to human being! The next public stargazing talk is titled "Meteor Showers". Attend this astronomy talk to find out more about Meteor Showers - what they really are, how and when to observe them. Feel free to join in the fun with your family and friends. And for soccer fans, you may catch free live screenings of World Cup Quarter-finals at Toa Payoh Central Community Club which is just across the street. There is a big dark field inside Bidadari that is suitable for stargazing and astrophotography. Since I need to attend an appointment at Potong Pasir in the late afternoon yesterday, decided to recce this site alone for myself for the first time last night. Somehow didn't manage to visit this site earlier even though I stay in Toa Payoh which is relatively near and this site has been mentioned every now and then in singastro astronomy forum over the years. While checking Potong Pasir map online for my appointment, saw this nearby big green patch. 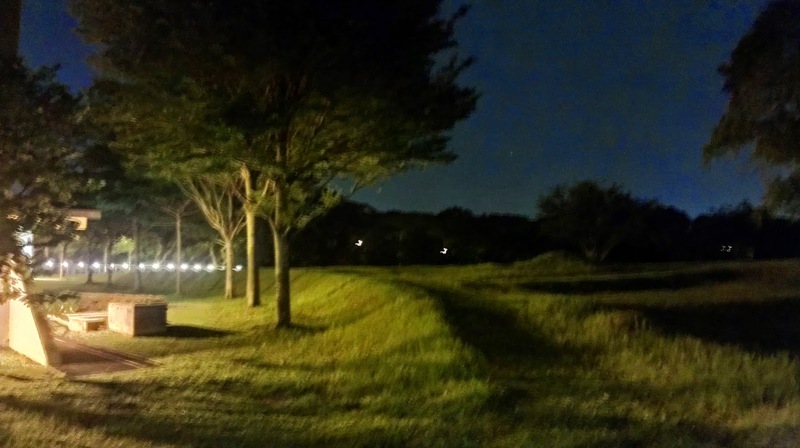 Thought it may be a good location for stargazing without realising/remembering this is the same woodleigh/potong pasir field/bidadari area that was mentioned in this forum and on newspapers. Turns out this may be good thing for me as I could evaluate this place without much bias. More on this later. Turns out, they are all referring to the same field/observation site which is the big open field between Potong Pasir MRT and Woodleigh MRT! (5) is probably the most descriptively accurate "name" but is too wordy. To those who stay near that area and nature lovers of Bidadari (especially birders), this may not be confusing. But for the rest of us who are not very familiar with that place, it can be! By the way, interesting fact I read from Nature Watch (Nature Society Singapore): " "Bidadari" was derived from the Sanskrit word "widyadari"; meaning a nymph or fairy." Before I begin my brief recce report, some history and credits about Bidadari mentioned in singastro forum. Check out the nice panoraomic photo and annotated google map of Bidadari in Kay Heem's zip attachment. It was mentioned as recently as last year 2013 by George when he posted about shooting Milky Way and Comet ISON at Bidadari. In between these posts, several other forum members must have discussed about it too. This is an example which initially started off as a discussion about Dempsey observation site in Coffee Corner. Those who are interested to find out more about such previous discussions can continue your research by searching "bidadari" in singastro forum. Big open spaces, no lighting inside the field, low grass level, didn't hear any mosquito or got bitten by any. Nice pavement/track in decent condition for joggers. Occasional pot holes. Should not be a problem for pushing astro gear along it on a trolley. Better than over grass anyway. Spot where the above video was taken later in the evening. Saw joggers continue to jog when the sky/field is dark, i.e. 8pm++. Comparing the google map satellite photos Kay Heem took in 2007 and current ones and from onsite observation, there are fewer trees. No big glaring lights from the nearby roads and houses especially if you walked closer towards the center of the field. Facing South. 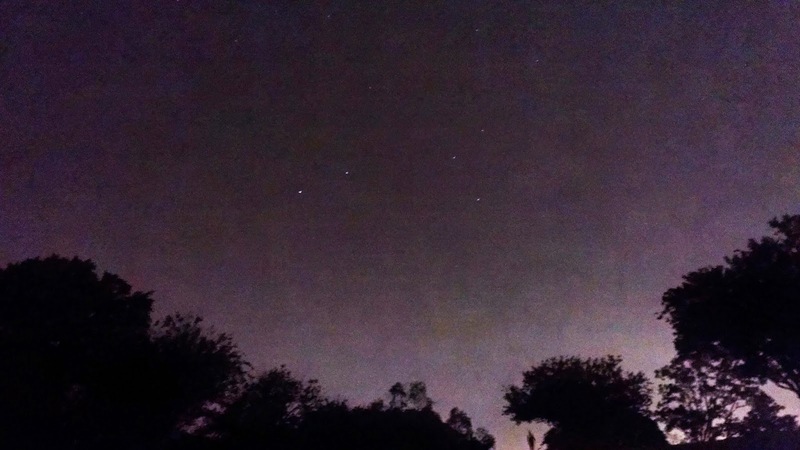 Brighter stars of Centaurus and Crux captured with phone in HDR. Silhouette of jogger in the background. The field is like a very gentle hill with the highest point in the center. 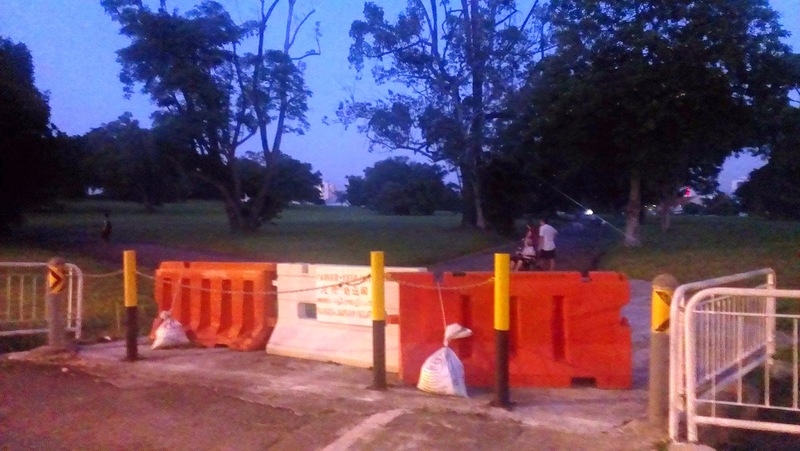 So if you walked beyond that and further away from the main Upper Serangoon Road, the hill itself can be used to completely shield off some of the distant lights from the street lamps and some far away building lights. Jupiter (white "star") setting in the west. Near Potong Pasir MRT and Woodleigh MRT. Overall, the whole field is slightly nearer to Woodleigh MRT. Additional advantage of Woodleigh MRT is you do not have to cross any road if you come out from Exit A. There's a lift and wheelchair friendly slopes near this exit. You may just walk a few meters on grass from there to reach the nearest field track. To the stargazer, this translate to less hassle and time saved to transport your astro gear to the darker areas in the dark field. Quite a few bus stops near the field. There's one near Woodleigh MRT Exit A.
Woodleigh MRT at far left. Bidadari at right. No temporary shelters. If it rains suddenly, run to nearest MRT/bus stop. Back to being able to evaluate this place with lesser bias. Since I didn't know it was Bidadari, I did not realise then it was a CEMETERY! For many minutes with no joggers in sight, I was just enjoying the peace, darkness and starry night in the field alone. Every now and then, I will squat down to take some photos with my mobile phone in HDR mode (else all black images as it was too dark and/or phone camera sensor not sensitive enough). I did not recall seeing or feeling anything unusual or eerie and my photos and videos didn't not capture anything strange too. Just saying how I felt then as a matter of fact, not trying to disprove if eerie things are still present there for those who believe. So the more "scary" part of this recce to me is to realise now it is *the* Bidadari that will be gone soon! Now I remembered all the news about Bidadari turning into a HDB New Town soon and Nature Society trying to protect as much of it as possible. Also recalled attending this Bidadari New Town exhibition at Toa Payoh Central last year. A quick check with recent news online seems to suggest that the earliest construction work could be as soon as next year 2015. Unless we find a super rare one-in-a-billion bird species in Bidadari, this field turning into a New Town is a forgone conclusion. Growing up as an urban kid, I hear stories from my older friends and relatives about growing up in kampungs (villages) in Singapore. For example, the fun and horror stories of walking back home late night across pitch dark cemeteries after a late night hangout with friends. 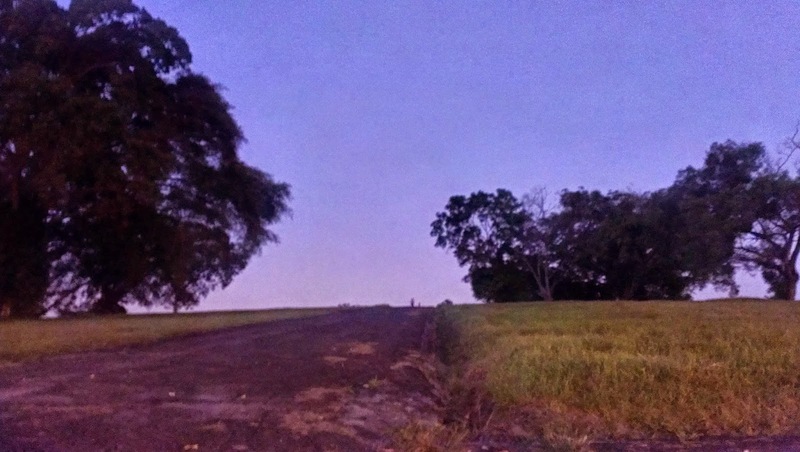 Last night, I walked around this field, said hello to joggers and people walking their dogs, stopped every now and then to take a photo and admired the dark starry night sky. For that magical hour or two in the dark and alone, I felt I got a little closer to experiencing what my friends and relatives were always reminiscing about - the good old kampung days where much more stars and Milky Way were still visible in Singapore on a clear night. So to all stargazers, photographers, joggers, historians and nature lovers, do check out this place at least once before it is all fenced up for construction in a few months! Weather permitting, I will be stargazing at open grounds outside Courts Toa Payoh tonight. Come see Saturn and stars through telescope(s)! Free and open to public. All are welcomed. 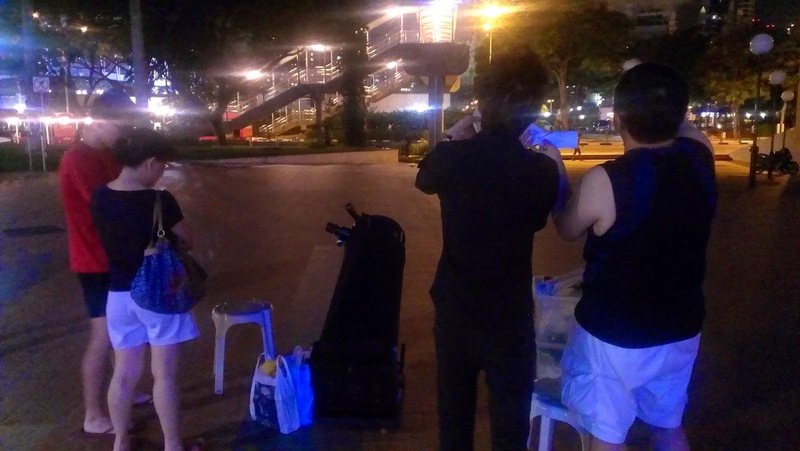 This is a brief report and pics of the 18 Jun sidewalk astronomy session at Courts Toa Payoh. Thanks to all for coming, especially Hong Lian for helping out with his dobsonian telescope. Able to spend more time explaining stuff to a smaller weekday crowd - how to read sky maps, pros and cons of different types of telescopes, ...etc. Good views of Saturn and Jewel Box. Saw Martian ice caps again in the dobs. Highlight of the evening was encountering 2 police officers on patrol. They had a great time looking through the telescopes and understanding what we are doing. They walked away without even asking us to show any identification. Thanks to them, some of the residents sitting around there who have been watching us from a short distance couldn't endure their growing curiosity anymore. They came and queued behind the police officers and patiently waited for their turn to take a look through our telescopes. Needless to say, nobody dared to cut the queue! This is a single shot phone pic of Saturn through my 10-inch dobsonian telescope, slightly enhanced in photoshop. The actual live view at that time was of course way much better than this! One would be able to see very sharp contrasty bands, rings and moons of Saturn nearby! The next public stargazing talk is titled "Basic Stargazing Skills". It's a huge pity the general public is not able to appreciate and enjoy stargazing better due to lack of understanding of basic astronomical concepts and observation techniques. Most of these concepts and techniques can be easily acquired with proper explanation in simple language, presentation slides and live demonstrations. Weather permitting, there will be live stargazing during or after the talk at the open grounds outside the library. Come see Moon, Jupiter, Mars, Saturn, star clusters and nebula (star cloud) through telescopes! So feel free to join in the fun with your family and friends. It's the June holidays after all! Today we celebrate Earth Hour in Singapore. Organisations and individuals that support this movement will switch of their non-essential lightings from 8:30pm - 9:30pm. The ambassador for this year is Spider-man. The crew at Astronomy.sg has done a good job compiling all the stargazing related events, you can visit their webpage here --> http://astronomy.sg/earth-hour. Timing wise, they are generally from sunset till at least 9:30pm. These are great opportunities to stargaze with your friends and family and learn more about amateur astronomy and its related equipment. - Do not touch any part of the telescope/binocular setup. You just need to look through the eyepiece which is attached to the telescope. - Queue orderly and patiently wait for your turn. Do take note stargazing events are totally weather dependent. In the event of bad weather, please check with the relevant event organiser for their latest updates. Wishing all of you clear skies and happy stargazing! No need to go KL and even local my evening work appointment got postponed last minute. So decided to join and help out my astro friends at McDonald's Bishan Park. Too tired and didn't bring any telescope with me. Disappointing weather in the late afternoon till sunset. Then the sky started clearing up. We had a good crowd looking through the telescopes deployed. Without the surrounding lights being switched off, most people didn't know realised it was Earth Hour. Nonetheless, we had good views of Mars and Jupiter! We have not been stargazing there for a while. So some of the residents around the area were happy to see us. COSMOS, the wait is over! 33 years later, the wait for an updated and ground-breaking version of COSMOS is finally over! COSMOS: A Spacetime Odyssey hosted by Dr Neil deGrasse Tyson will premiere in Singapore and Asia tomorrow evening! You can watch more promotional videos from the official YouTube channel of National Geographic Channel Singapore. On the same day 15 March at 8:00am in the morning Singapore time, catch the special 2-hour event "LIVE From Space" live on National Geographic Channel! Interact with astronauts on board International Space Station and Mission Control in Houston, Texas by using the Twitter hashtag #HelloFromEarth. Still have no idea who is Dr Neil deGrasse Tyson and why you should watch COSMOS: A Spacetime Odyssey? Ok. Ignore the length of the following video and just click play. WARNING: You will not be able to stop watching until it is over. And at 39:11 minutes into the video, question from Singapore! Anyone interested in winning some COSMOS memorabilia? Watch COSMOS and stay tuned for more information coming soon on this website! 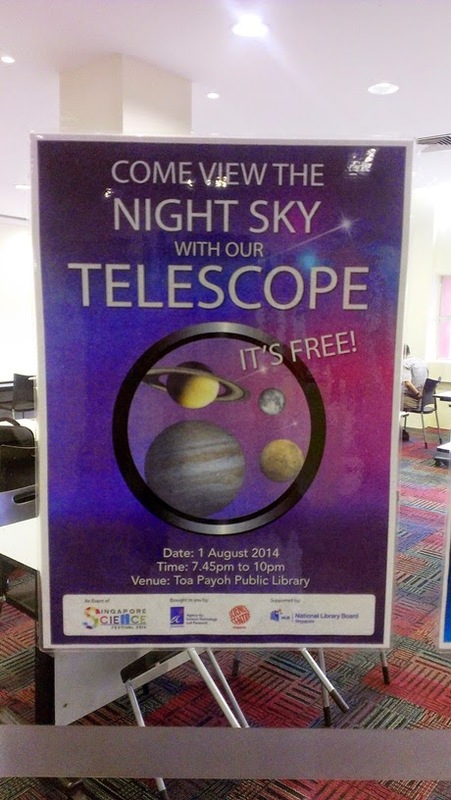 Weather permitting, we will be conducting a sidewalk astronomy session at Toa Payoh Central tonight. Please take note of the venue. It is outside Starbucks (NOT our usual spot outside the library)! This recently opened Starbucks is located near the Toa Payoh MRT Station (NS19). Primary focus: Pleiades and Jupiter! We will be deploying our telescopes for free public viewing. And testing the potential of this new sidewalk location in Toa Payoh. So come join in the fun with or without telescope! Feel free to chat with us about Astronomy! Mr John Lowry Dobson, my hero in amateur astronomy, passed away yesterday at the age of 98. "It is with heavy hearts that we must report the passing of John Dobson. He died peacefully this morning, Wednesday, January 15th, in Burbank, California. He was 98 years old. He leaves behind a son, numerous close friends, and fans and admirers worldwide. On March 8th, in honor of John, this year's ISAN (International Sidewalk Astronomy Night) will be dedicated to his memory. Amateur astronomers around the globe can join in and celebrate John's life and continue to carry the torch that he lit back in 1968 when he co-founded the San Francisco Sidewalk Astronomers." In short, one of the greatest promoter of amateur astronomy of our time. He invented a cost-effective way to mount big mirror-based telescope, i.e. the dobsonian mount. You can read up more about him from this wikipedia entry. You may also search "John Dobson" in YouTube to experience the passion, charisma, humour and humility of this wondeful man. For now, I will like to share how this great man has influenced me. "Come see the Moon! Come see the Moon!" Within a few minutes of watching it, I was hooked. Something just clicked deep inside me. Felt so inspired and I told myself, someday, I must and will do this sidewalk thing! Just like the lady in video clip said, "Wow, I needed this right now!". When I first watched this documentary, I have seen Moon and a couple of planets through some small to mid-size telescopes. 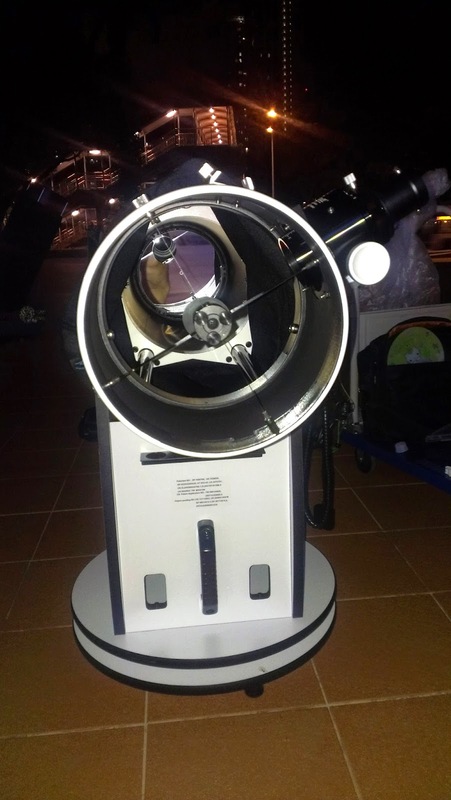 Feeling inspired to do sidewalk astronomy, I wanted to buy a dobsonian telescope as featured in the documentary so that I can share this excitement with the general public. But to my huge surprise, the local pricing of small beginner telescopes were too high for me (and I believe for a lot of others too! ), let alone a dobsonian! To make things worse, real life was getting in the way. I had to place even more emphasis on my family, career and personal life. Gradually, stargazing took a backseat and was totally forgotten for a few years. Fast forward to 2010, on a casual trip to Johor (West Malaysia) to visit my friend's hometown, I was absolutely stunned by the starry night sky that night! WOW! I suddenly remembered I was into amateur astronomy a few years ago. Fortunately, I was in a slightly better financial situation and thanks to the tremendous growth of internet, more competition and mass production in China, prices of astronomical equipment has dropped quite significantly. Long story short, I bought my first telescope which was a used one from a local amateur astronomer thanks to the local singastro astronomy forum. It is a 5-inch diameter Maksutov Cassegrain Telescope. What immense joy it is to finally own a telescope and to be able to share those views with your family, friends and the general public! One very clear night, or rather clear early morning, I saw the amazing third quarter Moon. And that's when John Dobson came back into my consciousness as I remembered that was the same view that inspired him to spread the joy of astronomy. 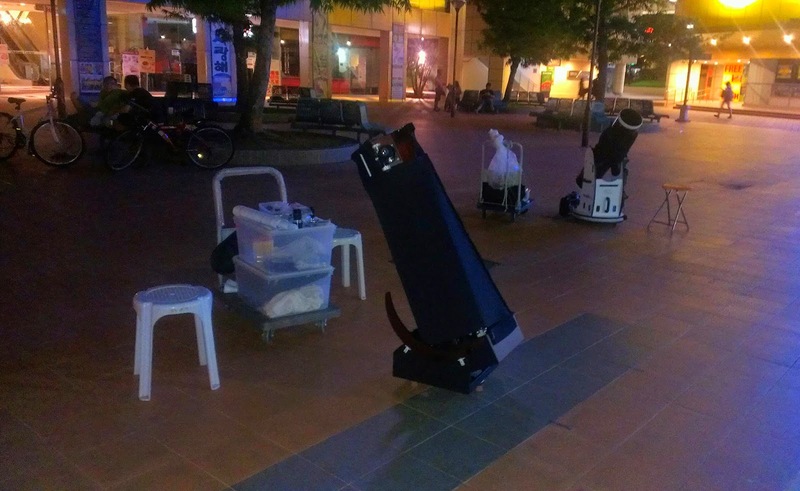 Within a couple of months of owning my first telescope, with some research on a suitable location, I gathered enough courage to do my first solo sidewalk astronomy session at the open grounds outside Toa Payoh Public Library. As expected, plenty of dirty looks from passerby. But for those who bothered to take a look, they had a great view of Venus (and Jupiter I think). And we had a nice sharing sessions about astronomy and the good old days in Singapore when our Milky Way galaxy was still visible. Before I knew it, I had done sidewalk astronomy for many hours till way past midnight. The courage to do my first few sidewalks is from my constant reminder of the inspiration from the documentary A Sidewalk Astronomer. Through sidewalk astronomy, I have made many wonderful like-minded friends and together we had so much fun spreading stargazing awareness in Singapore over the past 3 years. 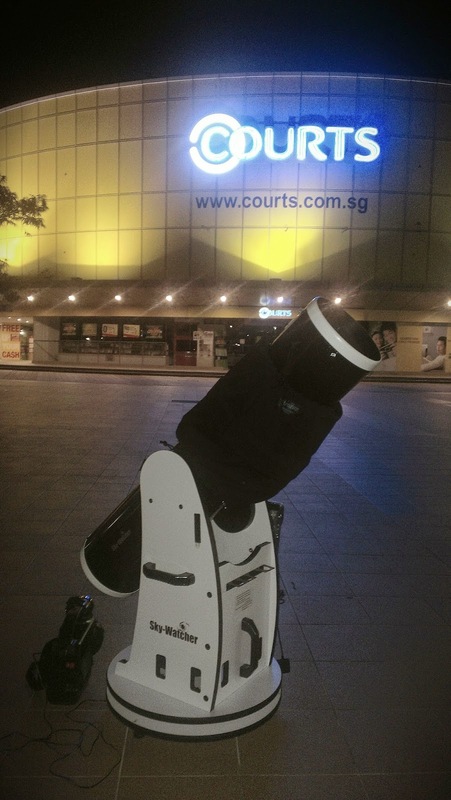 Then there are some friends who doubt sidewalk astronomy is a good idea in Singapore, i.e. the critics and naysayers. Will you be arrested by the police? Will you be robbed? Aren't you afraid of the public dirtying your telescope and optics? How long can you do this? Shouldn't you be more practical and spend more time earning more money? Will the public find it super boring to look at the Moon through a telescope? Surely they must have seen it many times by now? "Those people DO NOT reject us (sidewalk astronomers) for what we are, they reject us for what they SUSPECT that we are. And that is an entirely different thing!" Three years later, we still have plenty of people queuing up behind our telescope during our sidewalks even if only the Moon was visible. Most of them *still* have not seen Moon through a telescope in their lifetime and those who did, wanted to see it again during its different phases and to relive the wonder that is live stargazing. Just wanted to say something about the humility of this great man. Most telescope designers and inventors labelled their invention with their own name. John Dobson was not interested to do that. In fact, he kind of hated people calling his invention a Dobsonian. Dobsonian is just amateur astronomers way of crediting and thanking him for his invention which allows large telescopes to be assembled at fraction of the cost to a similarly-sized telescope of other designs. Look at the thousands of dobsonian telescopes sold commercially for the past few decades, John did not bothered to patent his design and get rich from collecting royalties. He truly wanted more (if possible, all) people to see the Universe through an affordable telescope. He lived a frugal life till his very last day yesterday. So for those of you who have enjoyed looking through our telescopes, John Dobson is THE MAN to thank and be grateful for. Without him, I may still be hiding in some dark corner somewhere in Singapore, enjoying stargazing and hoping no passerby will come and "disturb" me! Thanks to the support from my friends, one of the biggest highlight of 2013 for me is to finally co-own my very first 10-inch dobsonian telescope bought used from another good friend! This was after looking through some of my friend's bigger dobsonian telescopes at the starry nights in Johor (thanks for the "poison" guys!). After owning and using a few smaller telescopes of various designs for a couple of years, using a bigger dobsonian telescope is such a thrill. It is like falling in love with stargazing all over again! Dear John Dobson, it is a pity I will not be able to meet you this lifetime. But I still love you very much and may you rest in peace forever in the Universe you loved so much and dedicated your life to sharing it with the rest of the world! Weather permitting, in memory of John Dobson, I will conduct a sidewalk astronomy session tonight from 8pm at the open grounds outside Toa Payoh Public Library. No points for guessing which telescope I will be bringing along! :) Jupiter is still very close to Earth for an amazing close-up view of its cloud bands, the great storm circle and its moons. And today is also Full Moon so COME SEE THE MOON! Thanks to National Library Board for the invitation, my friends and I will be running a small astronomy booth tomorrow in a bursary presentation event. Venue: Open grounds outside Courts Toa Payoh. Admission is free. Weather permitting, we will be conducting live Sun-gazing! Feel free to drop by and chat about astronomy with us! There is a free public stargazing talk tonight titled "Astronomical Events in 2014". Learn about all the interesting astronomical events in 2014, including one that is happening on the very same night of this talk! Participants will also learn basic stargazing skills like how to read a star map. A free A3-size printed sky map will be distributed (while stock lasts). *Weather permitting*, during/after the talk, there will be a live stargazing session at open ground just outside the library. You can observe the Moon, stars and the planets through our telescopes with different size and design! You can also interact with our friendly star volunteers to learn more about astronomy and telescopes. So spread the word, bring your family and friends along to acquire skills that will enable you to enjoy stargazing for the rest of your life!